Hand saws occupy a prime place in many woodworking shops. 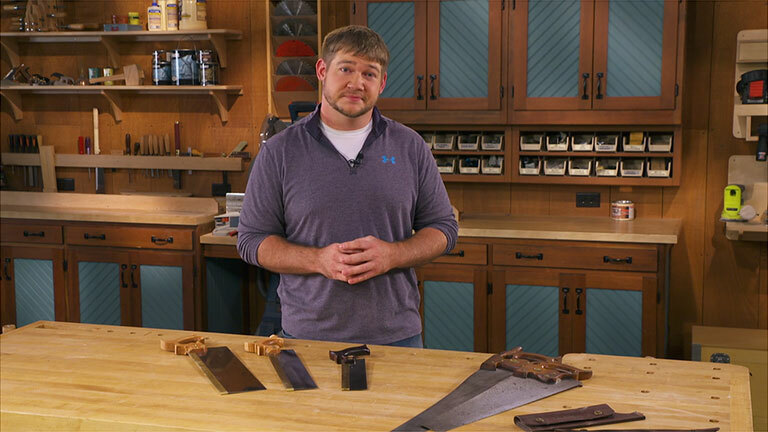 Logan Wittmer shows off four of his saws and talks about which saw to buy first and where to put them to use. Forming an accurate mortise is the first step in creating strong mortise and tenon joints. One way to get the job done is to use a mortising machine. Phil Huber shows how to get the tool set up for top-notch work. Having the right driver bit on hand seems obvious, but depending on the types of screws you're using, it can be more difficult to have the right type and size. Here's a clever idea to have the correct driver and keep it from getting lost. 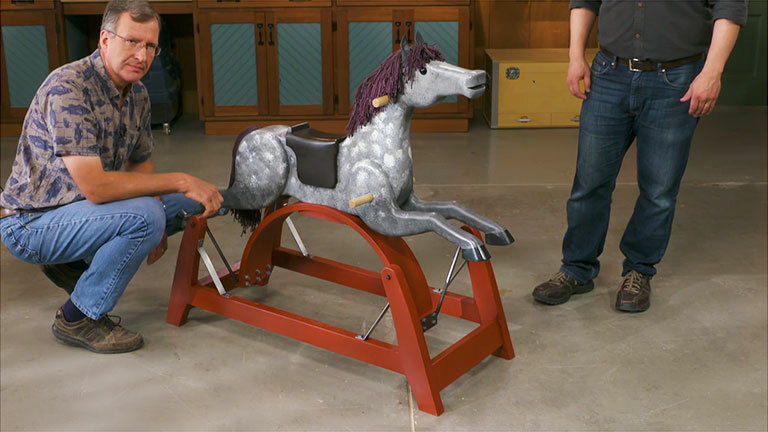 You can build a rocking horse for some classic children's fun. This design features a solid base with a rocking action that mimics a horse running. The shaping of the horse is easy to accomplish, but you can customize it any way you want. Creative Director Chris Fitch and Phil Huber show what it takes to build it. It happens to all of us. 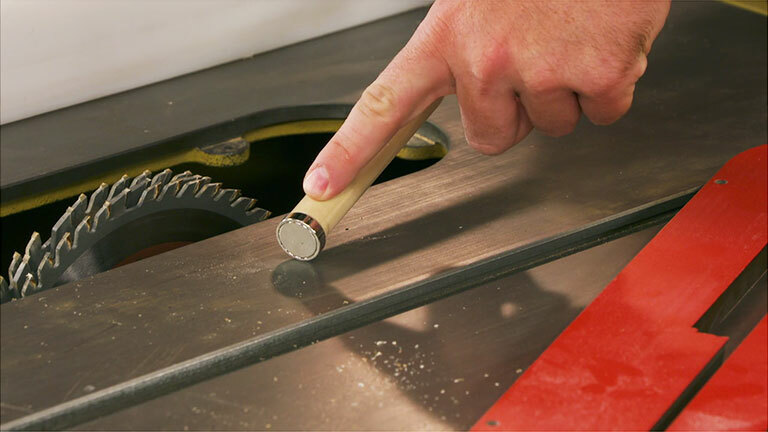 While changing the table saw blade, the arbor nut and/or the flange washer falls down into the saw cabinet. Here's an easy way to get it out without ending up covered in dust. 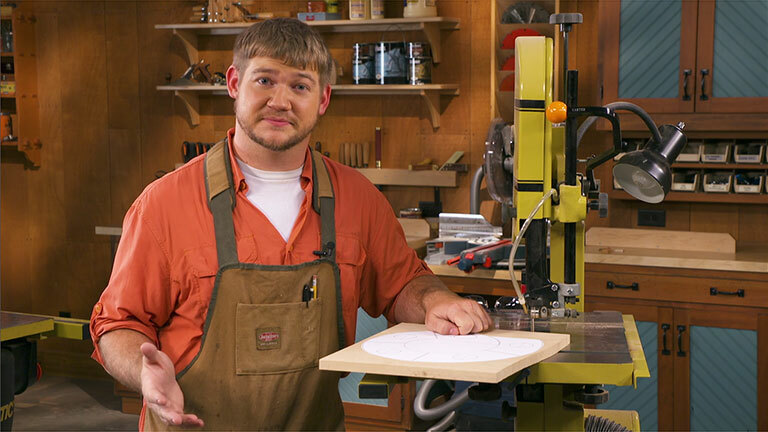 Learn how to make a circle with a router and a simple jig. 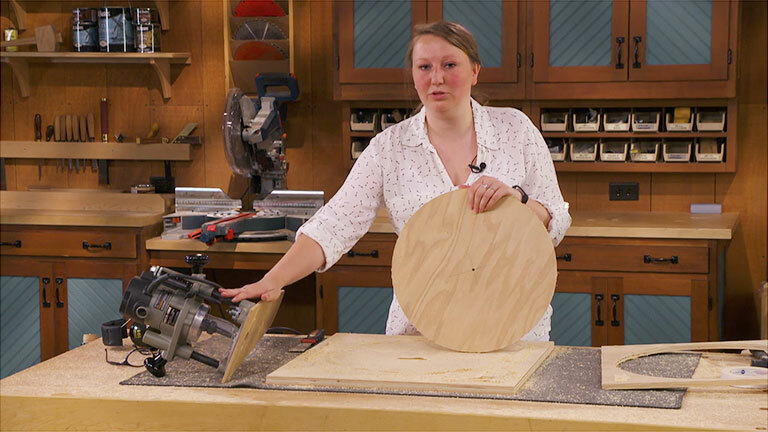 Becky Krailicek walks you through the process of using a router trammel to cut a round workpiece with perfect, smooth edges. A drill press seems an unlikely candidate for creating a workpiece. But with a Safe-T-Planer installed, you can plane small parts accurately and with ease. Chris Fitch shows just how easy it is to use. A sanding drum installed in a drill press works great to smooth curved parts. However, the drum quickly stirs up a cloud of dust. 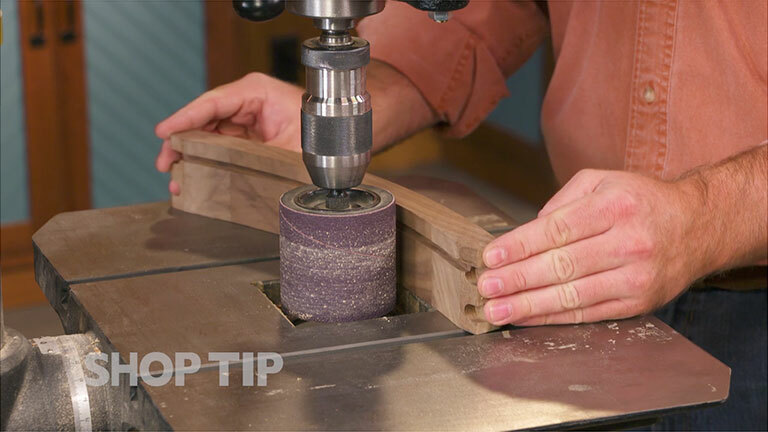 This clever tip helps you clear the air and sanding safer. It doesn't take a lot of material to create an eye-catching project. Logan Wittmer walks through the process of making this unique candle centerpiece using some scrap wood. Over time, the rack that controls the height on a drill press table can flex. This can lead to the table slipping or jamming. Here's a quick and easy solution. 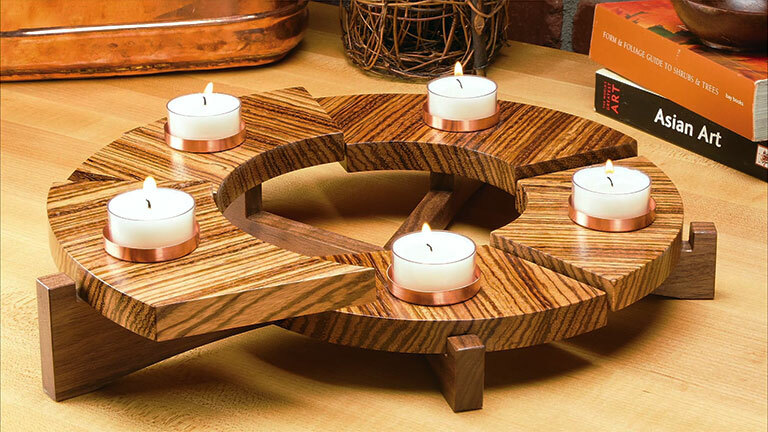 The top of the candle center piece is made in five, stair step sections. Logan Wittmer shows how to shape the sections for a smooth-looking result. 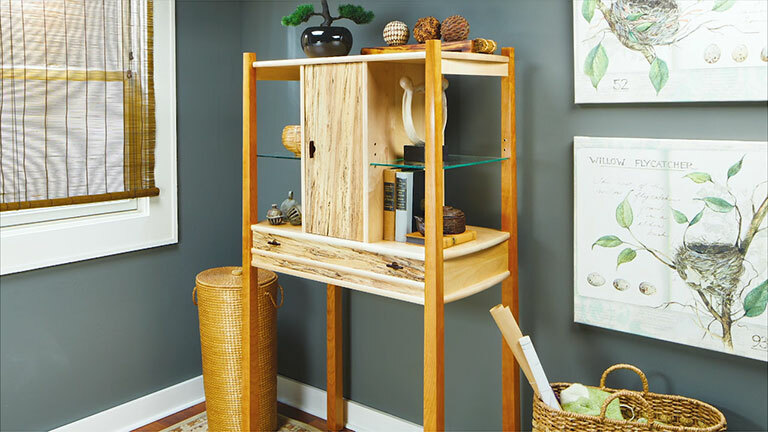 A place to practice a craft or hobby doesn't have to require a permanent place in your home. 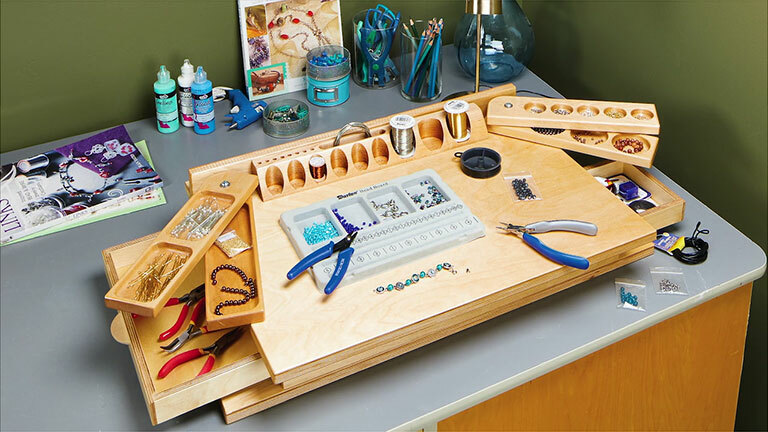 Dennis Volz design this workcenter to serve as a portable work surface and organizer for a variety of crafts and pasttimes. Learn how to build one for you or to give as a gift. 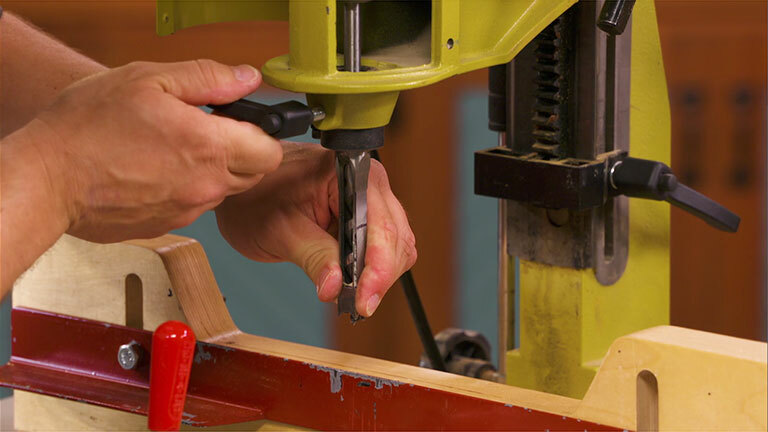 The key to shaping curved surfaces is applying even pressure while sanding. You can't always do that with your hands. 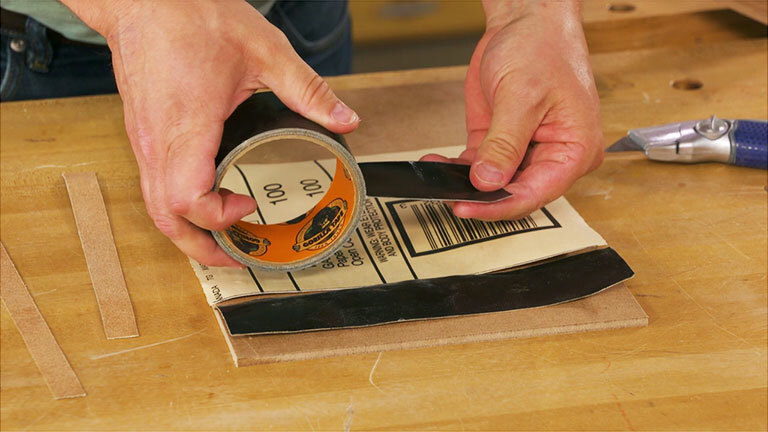 But with a little addition, you can turn regular sandpaper into a flexible sanding tool. 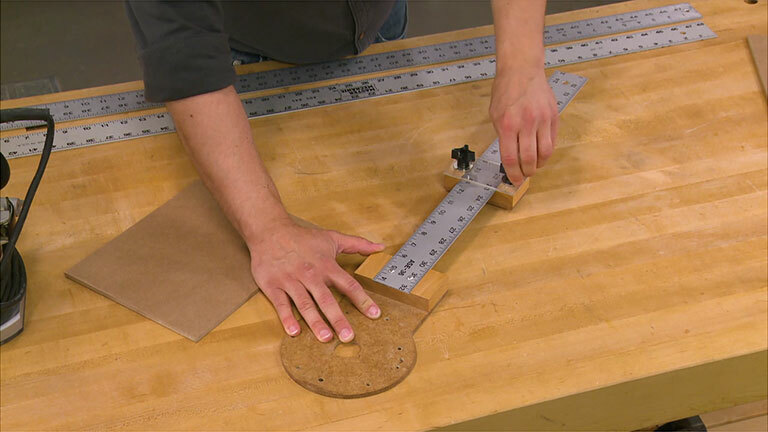 Chances are you already have most of the materials you need to make this circle-cutting jig for your router. An aluminum ruler at its heart simplifies the set up for creating accurate circles. 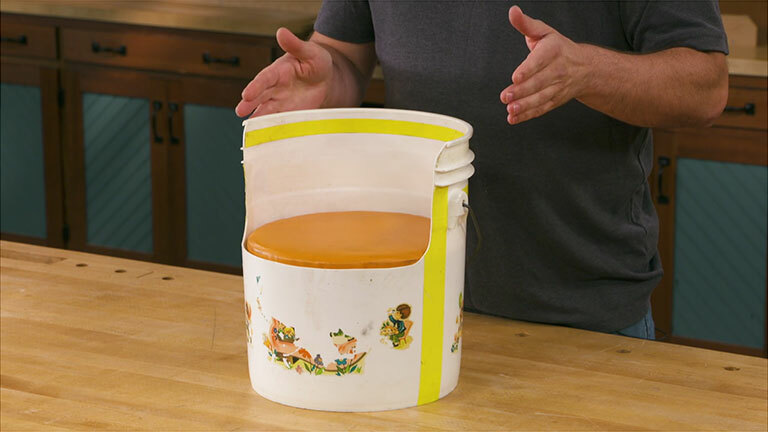 Phil Huber shows you how easy it is to make. Join designer John Doyle on a trip down memory lane as he builds a project from his childhood. Re-create this set of chairs and a table to make a fun playset for kids you know. 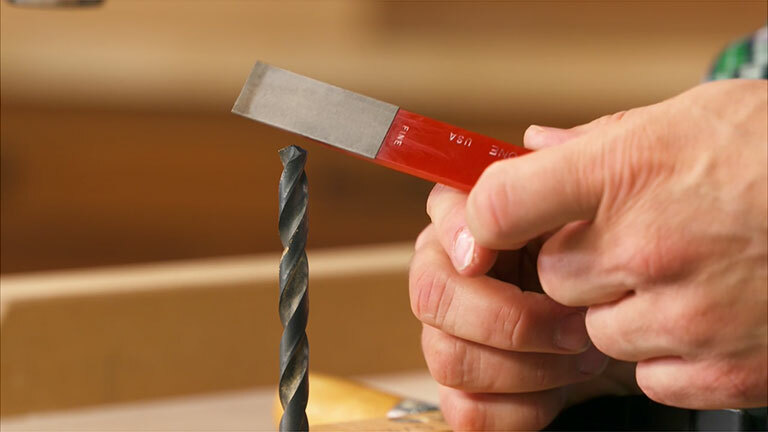 Ordinary twist bits do a passing job whether they're used to drill holes in wood, metal, or plastics. What's nice is that you can easily modify them to work even better. 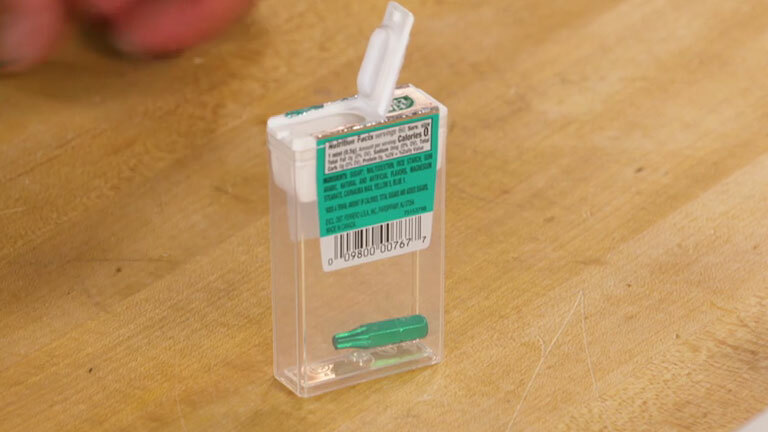 In this video, Phil Huber shows how to tune a bit to create smooth, crisp holes in plastic. 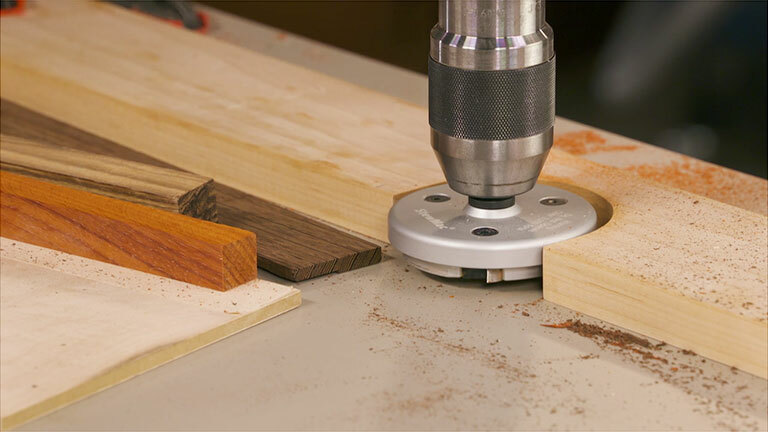 After creating a bunch of wood plugs, a band saw quickly cuts them free. But that often leaves you with a game of 52-Pickup as you gather up the plugs from the floor. Here's a simpler way to corral the plugs. Dovetailed drawers are nothing new. But here's a different spin on using a dovetail bit to create solid, good-looking drawer joints. 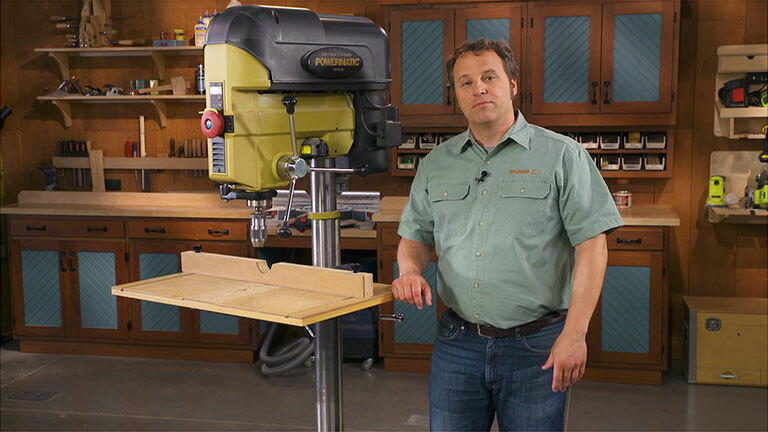 Phil Huber walks you through the simple steps at the router table. 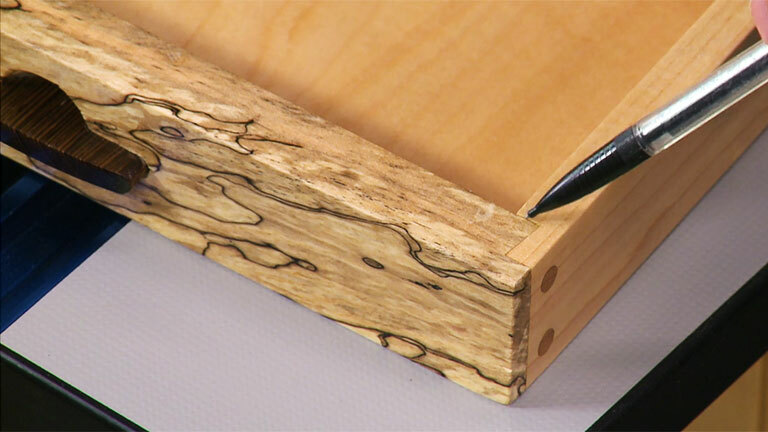 A simple rack can keep your dado blade chippers and scoring blades accessible and organized. Here's a way to make sure the smaller pieces like shims and the arbor nut and washer don't get lost in a blade change.